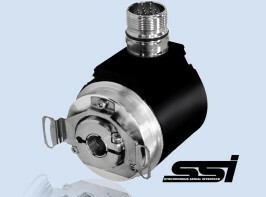 A Hollow Through Shaft may be the correct encoder for your application Your choice of encoder must be determined by your mechanism's requirements, and this decision may be the deciding factor in the speed, design and overall effectiveness of your application. 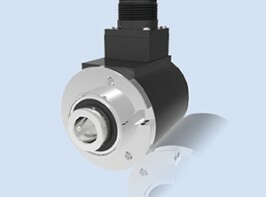 A hollow through shaft - absolute encoder - should be considered for many general industrial applications, particularly within the lift industry. 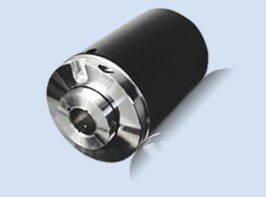 A hollow through shaft is likely to be many customers' top choice for cost-effective performance. We offer sizes to suit your specific requirements, with specially adapted offerings for those requiring quality performance in harsher or more sterile environments. Filtered air and magnetic shields are also available, dependent upon individual requirements. With such a wide variety of encoders, please do let us know your exact pulse rate, voltage and size requirements and our dedicated team of experts will ensure that we meet your needs, at the best possible value. 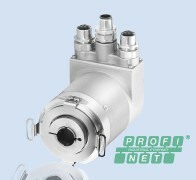 Optical absolute multiturn encoder, hollow shaft, with EtherNet IP output interface. Absolute multiturn programmable encoder for industrial fieldbus application.